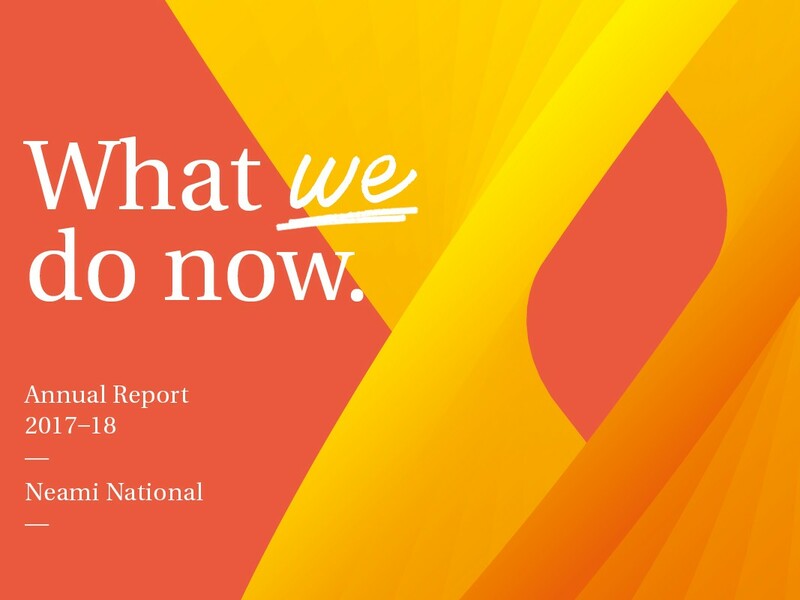 In this, our 31st Annual Report, we invite you to learn about how we are responding to the ongoing disruption in our sector and how we are adapting our approach to meet the needs of local communities. The theme “What we do now” talks to how we are diversifying our services and working together to achieve our vision and mission. We feature some of our new and innovative services, developed in response to the changing landscape, and are encouraged to see that the patterns emerging about what works in our new services are reflective of our strategic directions. We are working closely with partners across community and clinical services to deliver real and lasting impact for the people that we support. Through purposeful partnerships, we have broadened the range of services that we offer, expanding our reach and effectiveness into suicide prevention, clinical services, housing and homelessness, early intervention, intake and assessment, and NDIS services. We are privileged to be able to present the stories of some of the people we work with. We know that the true way to measure our impact is to hear about it from people who are most affected. We are encouraged by these stories which help us share how, alongside our new and established services, we are optimistic about what the future of mental health and wellbeing support can be. This report enables us to reflect on our continued focus on consumer experience, evidence-informed practice, and a commitment to safety and quality. Through this approach, we can continue to support more people to live independently in their communities and pursue meaningful lives.